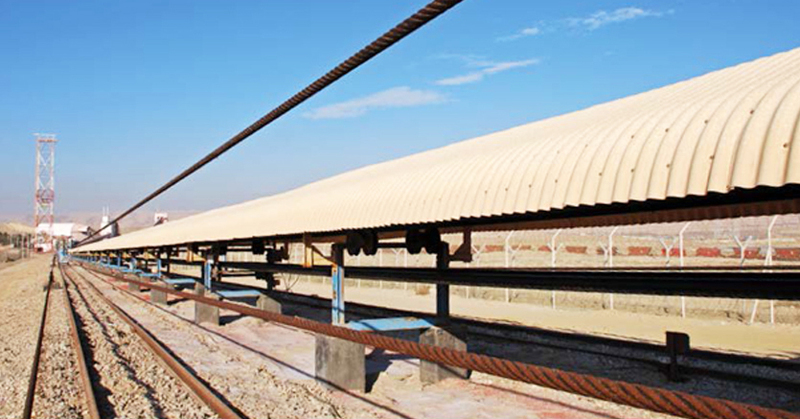 Outdoor applications in seaside industries, mines, chemical plants and other chemically aggressive environments, can be challenging for any material, slowly corroding them and demanding a high level of maintenance, which is both costly and time consuming. This is not the case with PALRUF corrugated PVC sheet. It is virtually maintenance free and will endure thses environments for very long service periods in the toughest conditions, which also makes it cost-efficient. PALRUF has been produced by Palram for almost 50 years and has been installed in numerous ports, mines and chemical plants, some of which appear on the following pages. Many customers, who used PALRUF roofing, chose it again to cover renovated and new structures. • Small roofing applications such as canopies, sheds etc. PALRUF is ideal for seaside projects, mines, livestock farms and more. PALRUF self-extinguishes and meets the highest standards in the field. Resists hail, wind and snow loads. PALRUF withstands a wide variety of chemicals, making it ideal for applications in chemically aggressive environments. Does not yellow or fade for years. Offering long service periods in cold or hot climates (depending on color).